Western Equatoria State was one of the 10 states of South Sudan. It had an area of 79,343 km². Its capital was Yambio. The state was divided into counties, each headed by a County Commissioner. Western Equatoria seceded from Sudan as part of the Republic of South Sudan on 9 July 2011. Since the 16th century, Western Equatoria had been a home to the Avukaya, Azande, Baka, Moru, Mundu and Balanda. The Mahdist Revolt of the 1880s destabilized the nascent province, and Equatoria ceased to exist as an Egyptian outpost in 1889. Important settlements in Equatoria included Lado, Gondokoro, Dufile and Wadelai. European colonial maneuverings in the region came to a head in 1898, when the Fashoda Incident occurred at present-day Kodok; Britain and France almost went to war over the region. In 1947, British hopes to join South Sudan with Uganda while, living Western Equatoria as part of Belgium French Congo The Democratic Republic of Congo. But the plan was dashed out by the Rajaf Conference to unify North and South Sudan. The administration of King Gbudwe was known as the Azande kingdom or Mbomu Kingdom of the entire Azande of, Democratic Republic of the Congo (Zaire), Central African Republic and Equatoria (South Sudan) until the early 1900s, after when the British in-vain several attempt were finally able to captured King Gbudwe and killed him in 1905 which brought an end to the Azande Kingdom to present day. 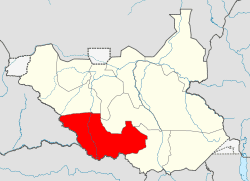 The Azande who is the majority in the state as well as the entire Western Equatoria, have had good relations with their neighbors, namely the Moru, Mundu, Pöjulu, Avukaya, Baka, Balanda and other small groups in Bahr El Ghazal, due to the expansionist policy of king Gbudwe, in the 18th century. In the 19th century, the Azande fought several Europeans colonials including the French, the Belgian French, British and the Mahdists to maintain their independence. Egypt, under the rule of Khedive Ismail Pasha, first attempted to control the region in the 1870s, establishing the province of Equatoria in the southern portion. Egypt's first governor was Samuel Baker, commissioned in 1869, followed by Charles George Gordon in 1874 and by Emin Pasha in 1878. In the middle of twentieth century, after Sudan's independence in 1956, Western Equatorians have sacrificed their life for over 5 decades liberating in movements for the independence of South Sudanese, including the Anya Nya led by, Joseph Lagu and the Sudan People's Liberation Army/Movement (SPLA/M), led by John Garang de Mabior, as they envisioned of New Sudan. Western Equatoria was also known as, the breadbasket state for liberators during both civil war. Western Equatoria was separated from its sister State of Eastern Equatoria, becoming a Province in 1976 and the two Equatoria Provinces was once again inaugurated into 3 statehoods of Western Equatoria, Central Equatoria and Eastern Equatoria in the midst of the 1990s. Hence, there was a plan to re-unify the 3 sister states back into regionhood after the implementation of South Sudan's Federal System. But many suggested the three states should remain in place with each Governor, while having a Governor General to oversee the Greater Equatoria Region. In 2005 a peace treaty was signed, but there was still some insurgent activity until dissolution. The Lord's Resistance Army (LRA), under the command of Joseph Kony, moved its base from Uganda to the South Sudan border with the Democratic Republic of Congo, and operated in the Western Equatoria State. Before the 2005 peace deal, the LRA had used Western Equatoria as a base for its operations against the Ugandan government of President Yoweri Museveni. But SPLA troop patrolling in the region largely maintained control. In 2009 local communities in Western Equatoria formed a self-protection unit, the Arrow Boys, using traditional weapons such as bows, arrows and spears to combat the LRA. Other important towns in Western Equatoria were: Nagero, Duma, Namutina, Jambo, Rasul, Tore, Muroko, Manguo, Mambe, Kotobi, Yarri, Farak Sika, Madebe, Bangasu, Rimenze, Bazungua, Makpandu, Nadiangere, Kua Diko, Ri-Rangu, Nabiapai, Gangura, Birisi, Ndoromo, Bangazagino, Basukangbi Ringasi, Diabio, Yangiri, Bafuka, Naandi, Andari, Ri-Yubu, Mopai and Sakure. The economy of Western Equatoria was largely agricultural, with high quality timber being one of its most important products. 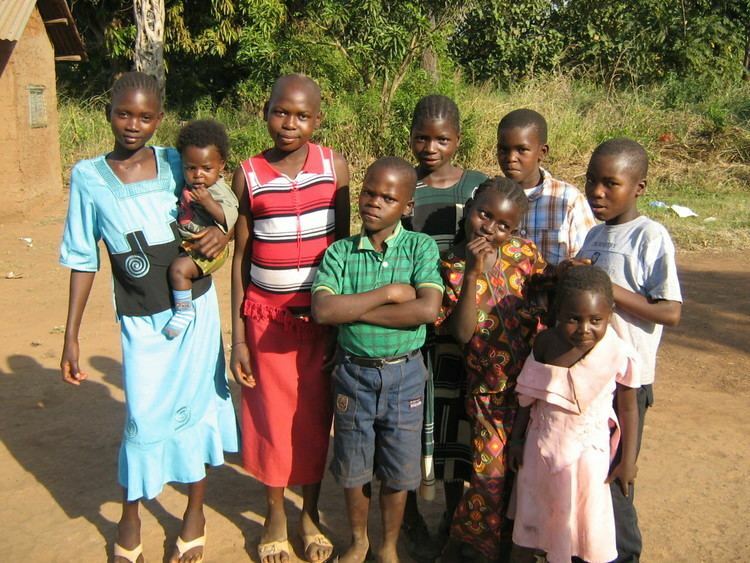 Western Equatoria region was the home of the Azande people, the third largest tribes in South Sudan.